The end-of-support date for Windows XP has been no secret, and the build-up to it has been long. But with the date now upon us, we’re being hit with a big dose of nostalgia, thinking back to all that the OS has brought us. The best thing about nostalgia is sharing it, so read on for a brief retrospective of Microsoft’s legendary OS. 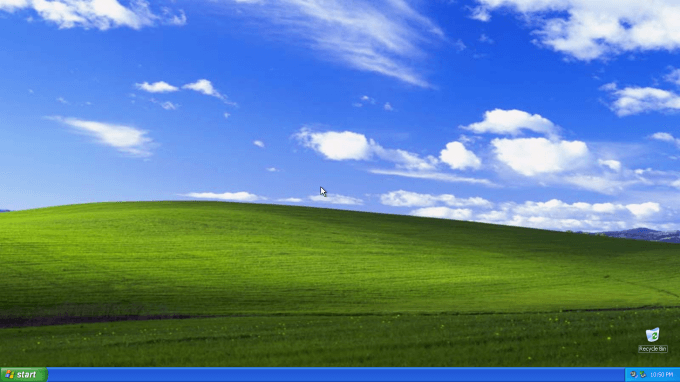 The time has come: Microsoft is retiring the much-beloved Windows XP. First expected to die in April of 2009, the Redmond firm gave in to intense pressure from the public to extend its support. With its revised date-of-death being today, Windows XP’s run lasted a staggering 4,548 days. To add some perspective to that figure, a span of 2,096 days saw the release of Windows Vista, Windows 7, and finally, Windows 8. A total of 2,526 days (as of the time of writing) have passed since the release of Vista (January 30, 2007). When Windows XP was released to the public on October 25, 2001, I’m sure no one at Microsoft could have guessed that the OS would still have a strong following 12 years on. Yet, it’s still used by 27.69% of Web surfers, according to Net Applications‘ March 2014 report. In this brief retrospective, we’re going to take a trip back in time and rediscover what it was that made Windows XP exciting at the time its launch, and add even more perspective to how far along we’ve come. In 2001, before Windows XP’s launch, public opinion was mixed. Some people were still livid over what has become Microsoft’s most infamous OS: Windows ME. Yes, its reception was even worse than Windows Vista’s. On the surface, it looked like a fantastic successor to Windows 98 SE, but under the hood, it was an unpolished mess. By contrast, the business-oriented and NT-based Windows 2000, released seven months before ME, was loved as much as ME was hated. It was stable, and that mattered. It’s no surprise, then, that Windows XP left the DOS underpinnings of earlier consumer Windows releases behind, instead adopting the same NT base as Windows 2000. What resulted in October of 2001 was a new consumer OS that was stable, feature-rich, and great-looking. It also featured what’s now one of the most recognizable photographs, Bliss. 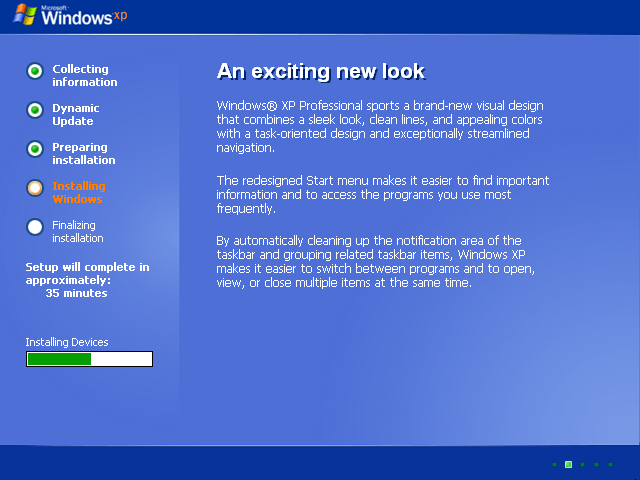 Because of the major enhancements brought with XP, nearly every aspect of the Windows experience was improved: Even the installation. A handful of Windows versions that prefaced XP had graphical installers for a fresh install, but they were ugly. While XP still had a DOS-based partitioner that had to be dealt with, the graphical installer was leaps and bounds better than the older ones. That installer screen makes me think of just one thing: FCKGW-RHQQ2-YXRKT-8TG6W-2B7Q8. It’s hard to believe that a serial code could become famous, but that one certainly has. Given the debacle created by Windows ME, Microsoft had put a considerable amount of effort into XP – and it showed. From the get-go, XP floored me. No more was the bland GUI. Instead, gradient use increased. We had a bright blue taskbar, with an inviting green Start menu button. Icons had improved, and that split-section Start menu? Très magnifique. 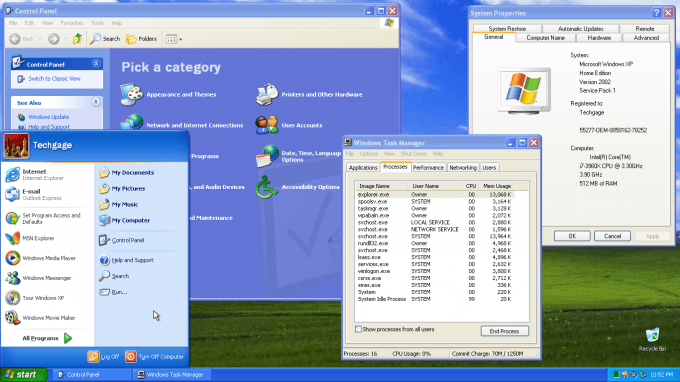 I’m not kidding – Windows XP looked fantastic at its launch, and little did I (and others) realize at the time, third-party customizations could make it look even better. In 2004, I sported a Zippo lighter theme that ran through Stardock’s Windows Blinds software. To me, I had the coolest-looking OS in the world. With LCDs beginning to catch on at around the time of XP’s launch, Microsoft used the OS as its launching-platform for ClearType, a technology that aimed to improve the appearance of fonts on such displays. Windows XP wasn’t just about looks, however; in fact, it encompassed much more than that. The OS itself had design improvements to make using it easier; more intuitive. I mentioned the split Start menu above, and that’s a perfect example. Here, Microsoft had added a bunch of useful shortcuts right in the Start menu’s root, ridding the requirement of navigating sub-menus for something like the Control Panel. 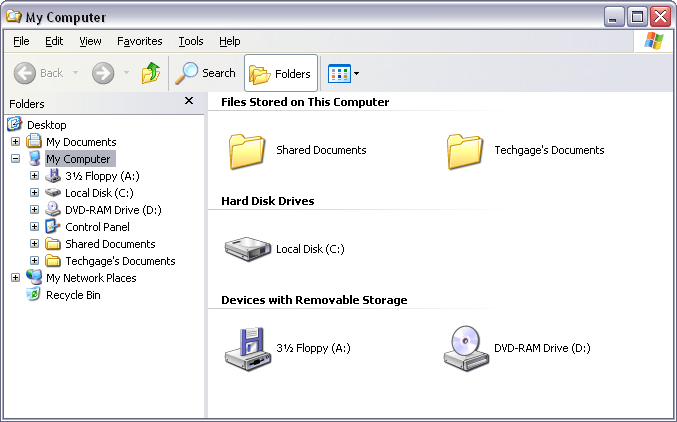 Further, people could also access recent documents much faster than before, and pin their favorite applications to the left side. On the topic of applications, XP brought on some new ones, and updated many others. Who didn’t just love Internet Explorer 6? Sure, it’s a hunk of junk in 2014, but back in 2001, it was modern. In the virtual machine install of XP (with Service Pack 1) that I used to snag screenshots for this article, our website couldn’t load in IE6; it’d crash the entire browser. Fortunately, Microsoft’s own site loads, albeit in a broken manner. 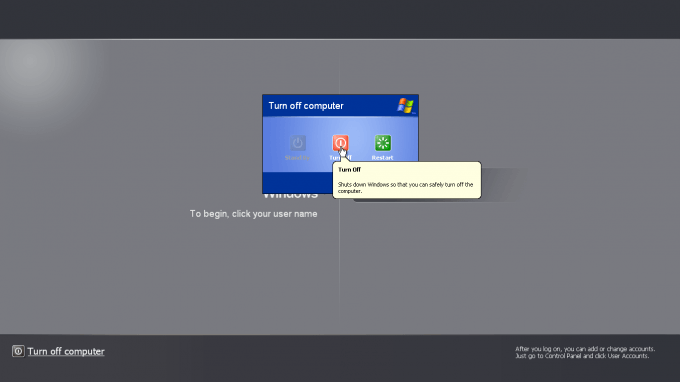 Still, it’s smart enough to tell us that Windows XP’s support is ending, so it’s not all bad. Can you believe that bloke still uses Windows XP? It’s hard to track down an actual list of software that was added (not enhanced) to Windows XP, but one that stands out in my mind is Remote Desktop – exclusive to the Professional edition. At the time, the concept of logging into a PC remotely was completely foreign to me. While my first experiences with the tool were a little rough, I was blown away by the mere capability. In time, as the protocol improved, many people used it for remote assistance, or to simply log in from outside the house to check up on things. In an attempt to thwart piracy, XP introduced the requirement of activating the OS – previously, a serial code and Microsoft’s faith in you was enough. Not surprisingly, this mechanic became a mixed bag, and Gates knows that I’ve complained about it enough on this site – even with Windows 8. Prior to XP, a major thorn in the side of someone who shared a PC with another person was having to log out of their account in order for someone else to log into theirs. In XP, that problem became no more, thanks to Fast User Switching, enabling Windows’ ability to juggle multiple users at a time. The downside? Taking over the PC while someone else had apps still running, and then causing the PC to BSOD. Ouch. The first time someone opened up a folder in XP, they were no doubt shocked; a lot of tweaking had been done. Improved sorting and grouping became one of my favorite new features, while task panes came a close second. A rather major new feature was the ability to use Windows for disc-burning purposes; a hit-or-miss feature though, as far as I’m concerned (it’s been much-improved in subsequent Windows releases). This article revolves around nostalgia, so let’s kick things up a notch. Sometimes, our brains fail to appreciate just how long it’s been since we last used a certain piece of software, whether it be an application as a whole, or just a specific version. So, the table below highlights a number of popular software titles, listed with their current version as of the time XP was released, and also their current version in 2014. That’s a slim selection of apps, I admit, but believe it or not, a lot of software that’s popular today didn’t even exist back then. Likewise, a lot of software that existed back then isn’t developed anymore (Kazaa, Napster, Netscape Navigator, to name a few). 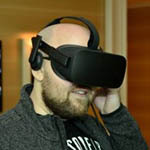 Software’s just one part of the PC equation; what about hardware? Looking back at what was available in 2001 is all sorts of mind-boggling. In the summer prior to XP’s launch, Intel had released its Tualatin-based Pentium III processors, based on a 130nm process. The top model at the time? The 1266S, clocked at 1.26GHz. On the AMD side, there was the Athlon XP 1800+, a chip that might have boasted a faster frequency of 1.53GHz, but was built on a less-attractive 180nm process. Another fun-fact: Multi-core processors didn’t exist at the time of XP’s release. We were still in the midst of a serious megahertz battle. Because I have an insatiable appetite to use cutting-edge software, I haven’t used Windows XP full-time since not long after Vista released (2007). But despite that, I still have a soft spot for it – I used it full-time for six years, and still used it after that on alternate PCs and test rigs. In some ways, the most fun I’ve ever had with a Windows OS was with XP. As it stands today, it’s not hard to understand why Windows XP is well past its prime, but the fact that upwards of 30% of people surfing the Web are still using it is a testament to how well-designed it is. In some ways, Microsoft created an OS that was “too good” with XP. The much-prettier Vista, and even 7, with all of its great features and enhancements, haven’t been able to uncling some folks from XP. If you’ve read this far, I’m willing to bet that you have some Windows XP stories you’d like to share, or simply reminisce about the OS or the period of time in which it was released. That’s what the comments are for; go on, share your thoughts!